Platform that bring Recruiters, Recruiting Managers, Line managers, Interviewers and HR heads onto the same page. 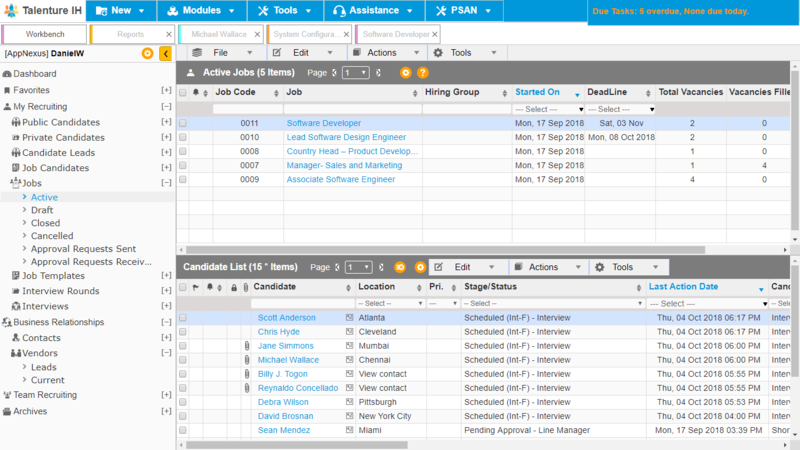 Fine-grain work assignment, immediate notifications, and customizable data views provide a powerful platform for maximizing team efficiency and output. Assign each part to its experts. 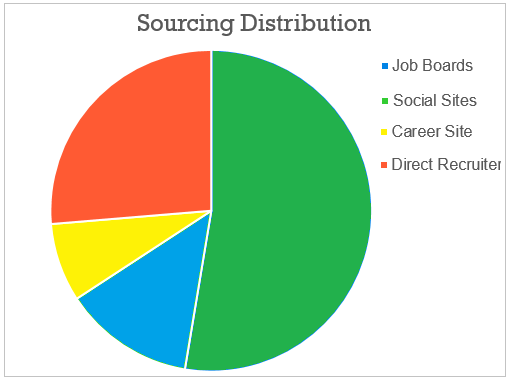 Fine Job Roles, Single or multiple assignment Perform each part by team members best suited for the process whether candidate sourcing or client interaction. Multi-level Team Management for effective Coordination and Delivery. Organize teams hierarchy to reflect your organization structure. Manage teams through a Dedicated Workbench section ensuring immediate access to all relevant data for effective team management. Each Candidate is a Gem. Don’t lose any. Each candidate has unique skills, and experiences. 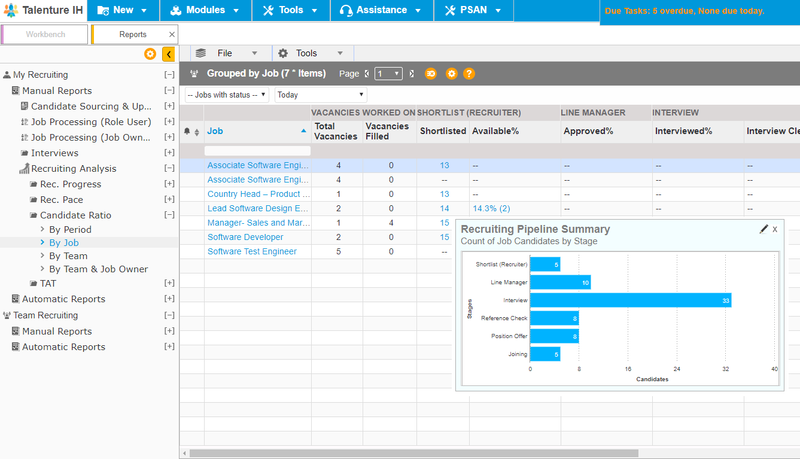 Tools to help you find you candidate with ease even if the requirements are most specific. AI driven Search to find the most suited. Intelligent Heuristics to rank candidates on different parameters like recency, availability, employability, or combination of these along with recruitment history enables you to achieve the best fit for your openings. Versatile tools to drive any process. Public and Private Candidates, Unlimited Private and Public Collections, Functional Classification, and many other tools to help you fuel the candidate needs of any recruiting process. Handle all Industries and Job Functions. Rich library of diverse Job Workflows to handle every type of position whether for High Tech, IT, FMCG, Pharma, or Banking, or whether for a CXO position or a fresh graduate. Involve the right number of stages with the right participants for each stage. Complete flexibility for Role assignment and sharing ensures that you enjoy maximum freedom in distributing work to fulfil any job position with highest quality in shortest time. Strict or Flexi, choose your style. 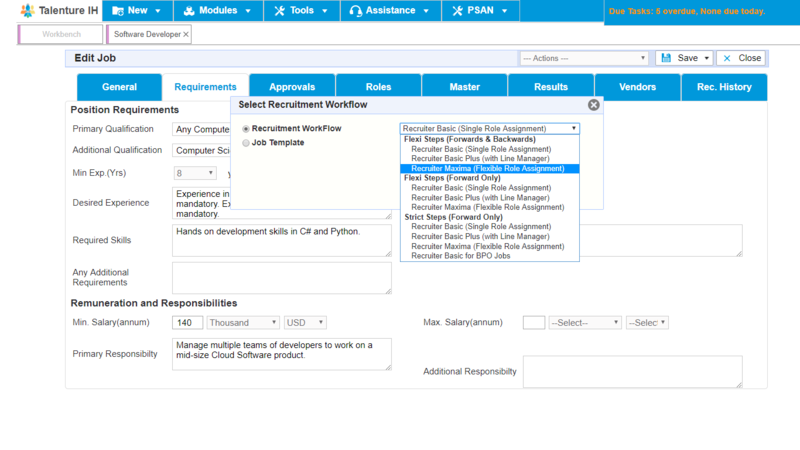 Allow the maximum freedom to your seasoned recruiters using Flexi workflows. And use a Strict process for your junior recruiters to avoid mistakes. Multi-round interviews with One-One and Panel rounds provide complete freedom to manage any interview process. Involve as many interviewers as you want. Single-click reports with a variety of direct filters provide an tremendous platform to analyse each situation from multiple perspectives. Different counts available to understand your business levels today so that you plan better strategies to ensure your future success. Not Just status and action counts. Pace, Ratio, TAT, and many rich metrics. Various metrics like Recruiting Pace, Candidate Ratio and Vacancy TAT to give you a comprehensive framework to analyse each recruiter, team, client, and process with ease. Automatic Reports so that you don’t need to remember. Schedule your reports with Daily, weekly, etc. frequency so that they reach your email inbox just when you require them with the required data coverage. Source from Job Boards, Social Sites, Career Site, Email and Desktop folders alike to build an integrated pool to fulfil the requirements for any industry and position. Use the best sources for each position to ensure the highest results with least cost and effort. Engage Vendors Directly in your process. Give your vendors a secure and direct access into your system so that they not only provide their inputs fast but also view the progress on their candidates in real-time. 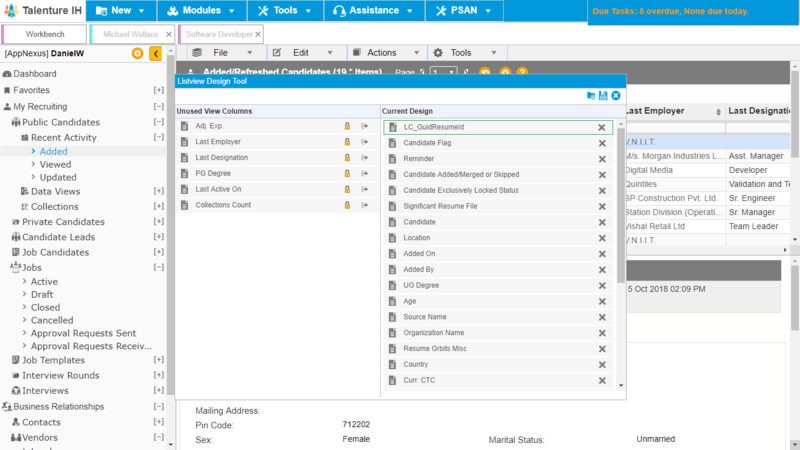 Implement RPO with multiple vendors with full security. 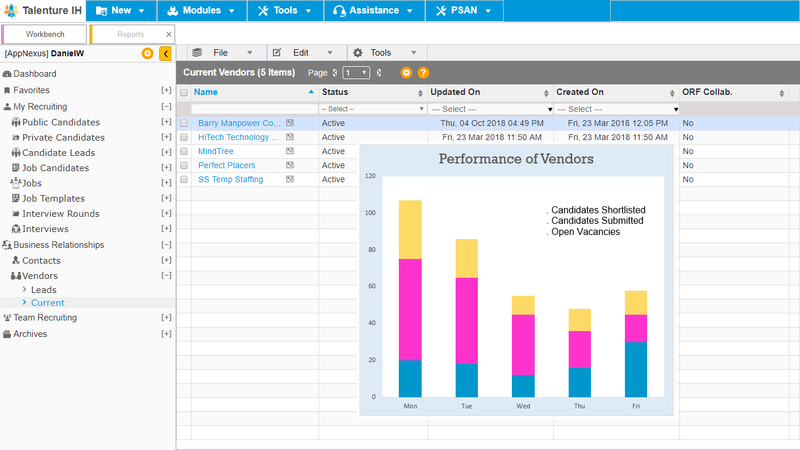 Implement different levels of RPO process with multiple vendors. Each vendor views and manages their recruiting data and process fully. Recruiting is the first window into your company. It really matters. Complete Recruitment History. Address the needs in the best manner. Immediate access to the complete recruitment and communication history of the candidate empowers the recruiter do have most meaningful interactions with the candidates. Complete Communication History. Progress through every message. Avoid mistakes in the team. Complete history with each candidate is tracked and can be quickly accessed giving you an unmatched perspective for the next communication. Unlimited Rich templates for Highest Quality in Communication. 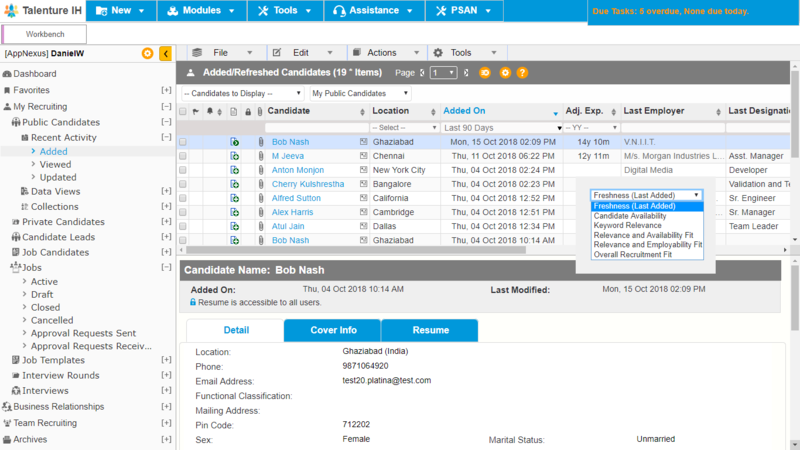 Use unlimited private and public templates with rich formatting to give your candidates a uniform experience irrespective of the team member they interact with. Its Better if Product Adapts to Your working. Structure the product for highest productivity. Use the Role level and user level customization to ensure that the each user uses the product which is most productive for them. Implement your processes and strategies for best results. A Versatile Platform that allows you to implement your time-refined processes and strategies as-is. And at the same time, provide most optimal working platform to handle your changing needs as you grow. Complete Data Customization for maximum capture. Maximum Multi-tasking through Tabbed interface. Open each object and tool in a separate tab within the application to give you maximum multi-tasking. You can work on all related aspects of an action in one go thus saving a lot of time. 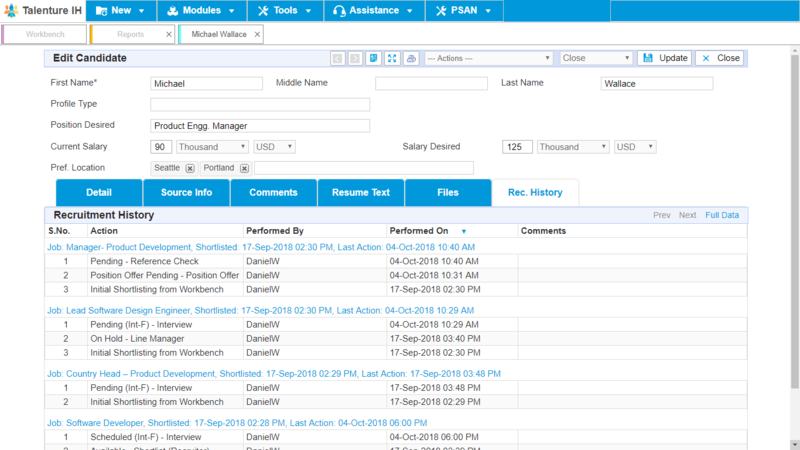 Simple Navigators to manage complex processes with ease. 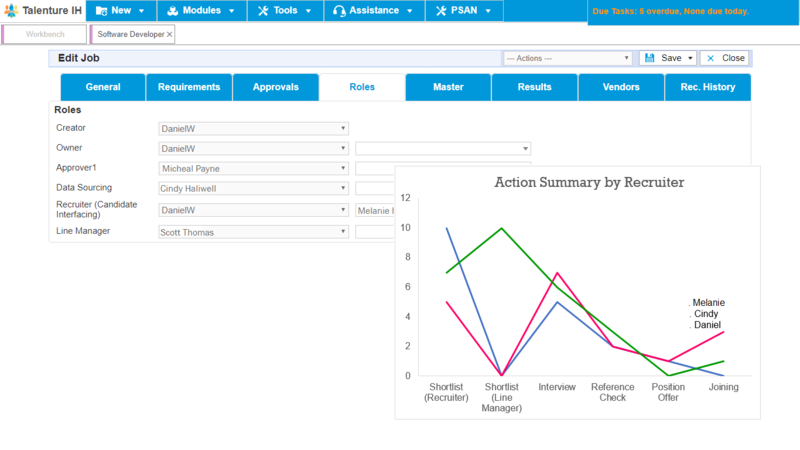 Navigator model in a browser interface gives your team an unmatched productivity framework. Separate Windows for Search and Email to enable maximum productivity. Keep your Search and Email open at all times so that you do not do unnecessary clicks to access key parts of your process. Ready to Experience the power and versatility of Talenture?